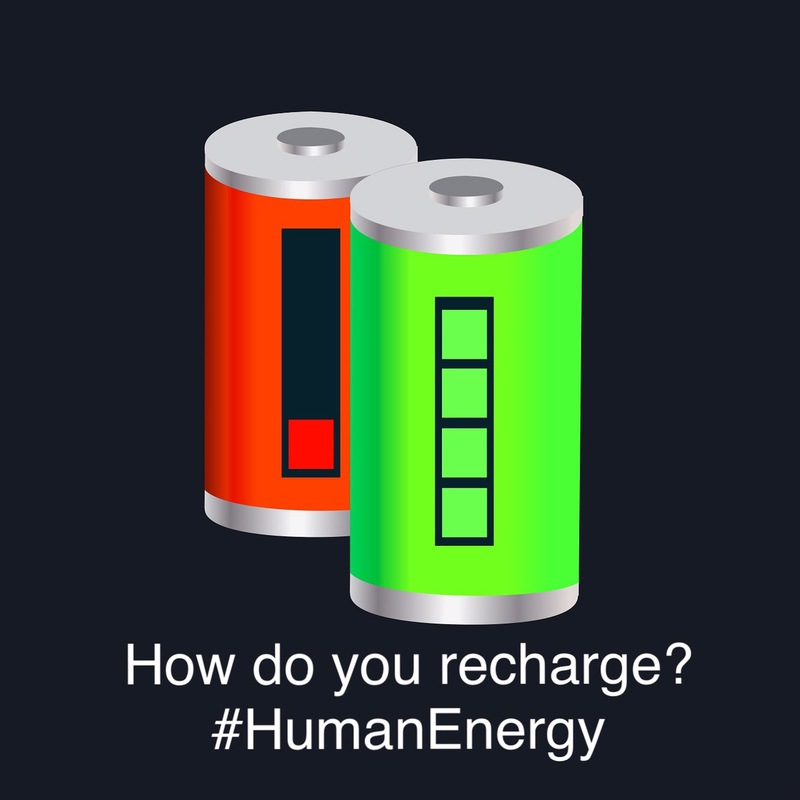 How Do You Recharge Your #HumanEnergy? We are all energy systems that build and expend power. We are literally batteries. Much of our human be-ing is about renewing and depleting our energy. With the pace of work, family and life overall we can quickly get over depleted. Our battery can get worn out. Rather than waiting for empty, it is critical to fill up and stop the unnecessary drains on our #HumanEnergy. That doesn’t have to drain you more to think about how to fill up. The deepest recharge is meant to be sleep. If you are not sleeping well, start there. Get help to restore sleep regeneration time. If sleep is OK, then pick one way to gain quick recharges during the day. Make a simple plan and commitment to recharge. Rejuvenation time can be anything that fills your #HumanEnergy battery back up.